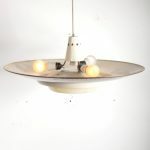 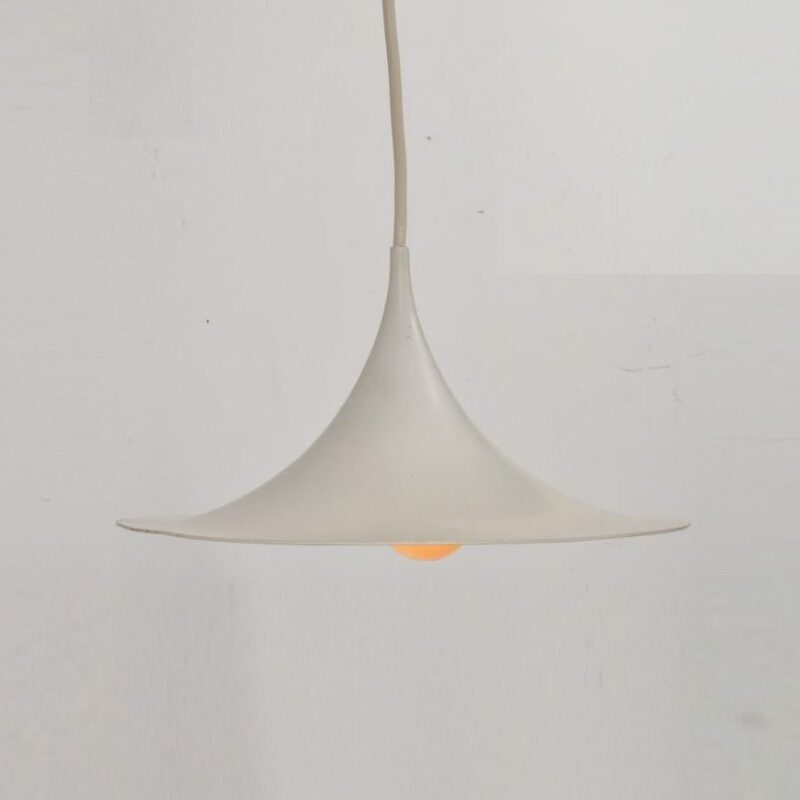 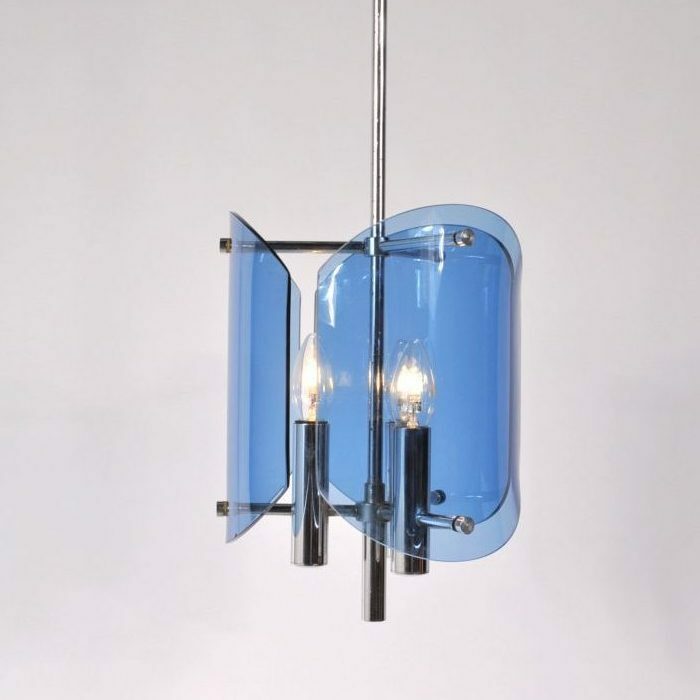 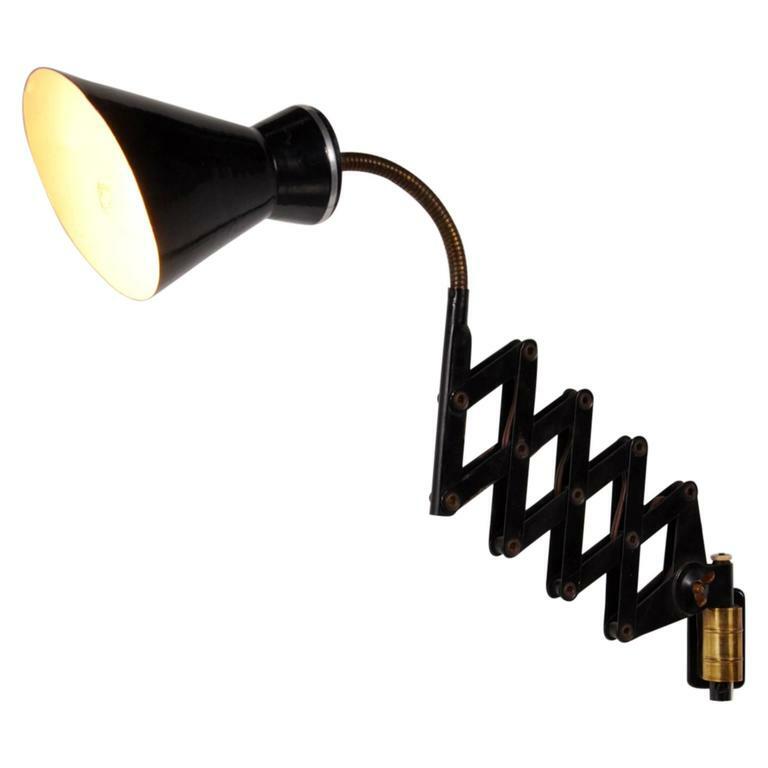 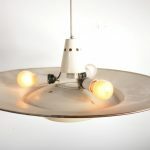 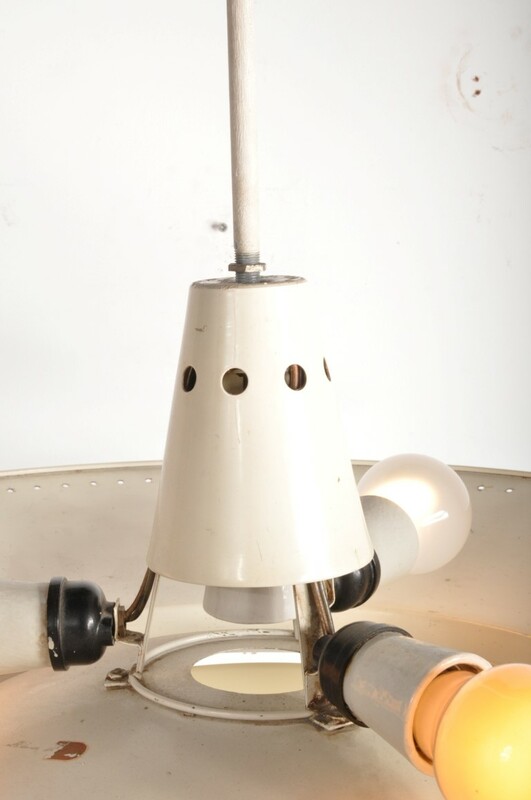 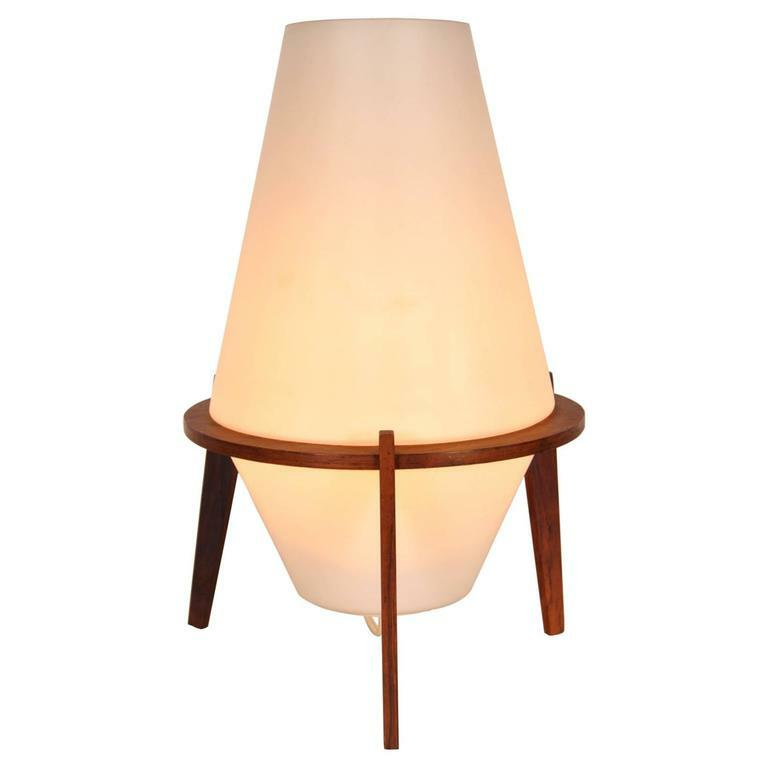 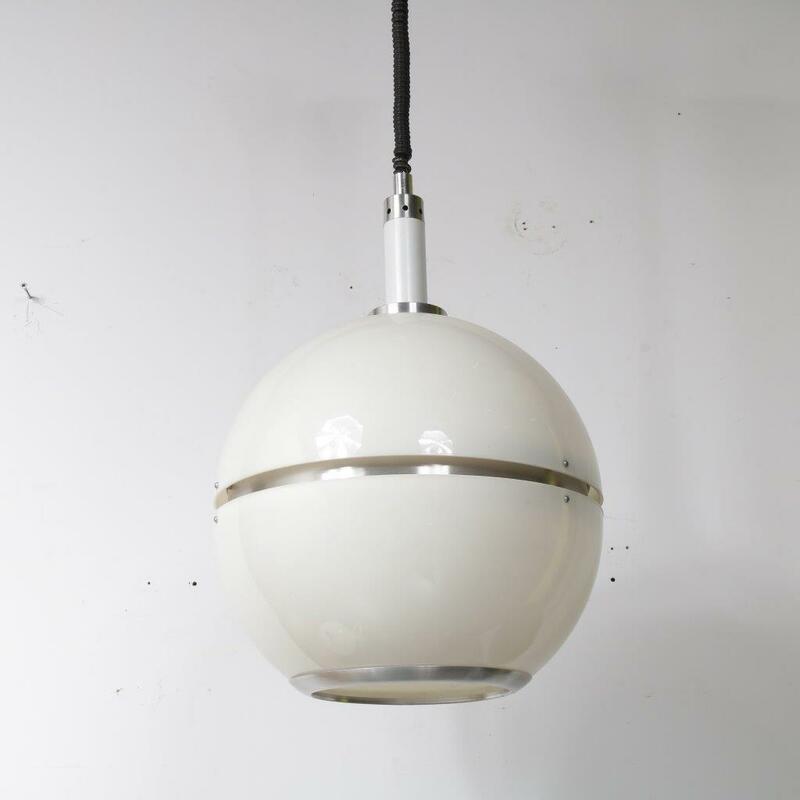 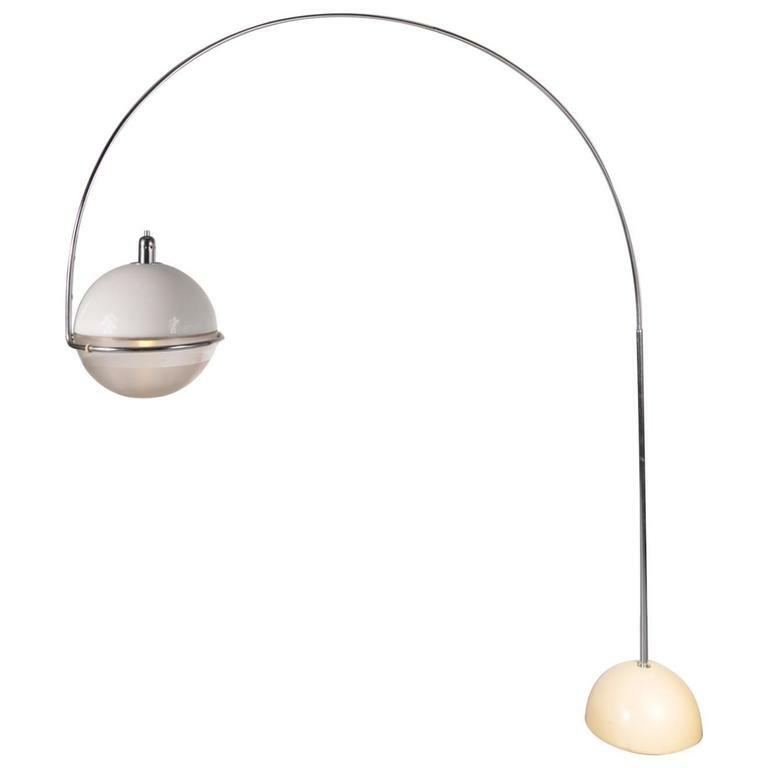 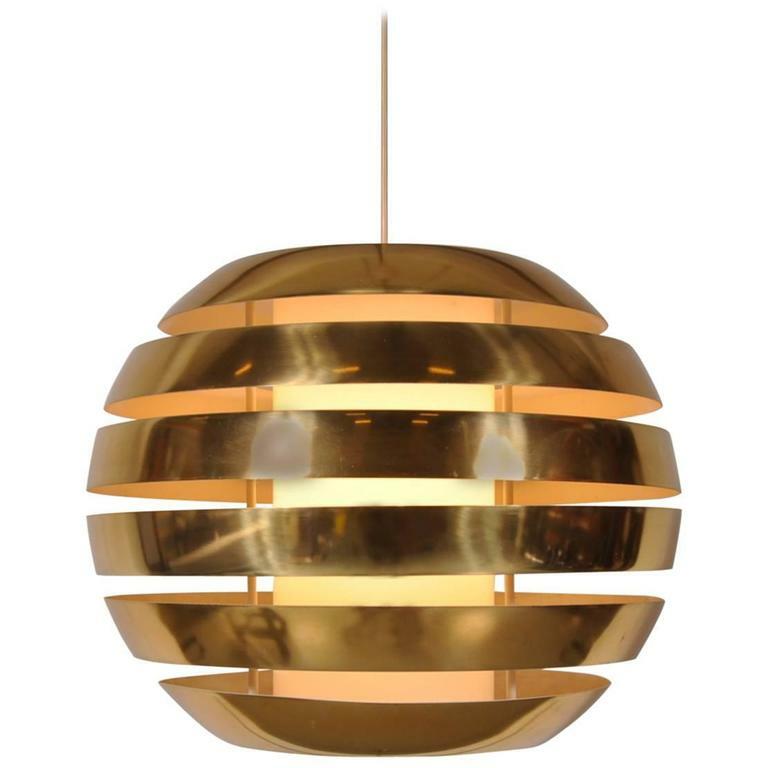 This very appealing hanging lamp is a highly recognizable piece of Dutch design. 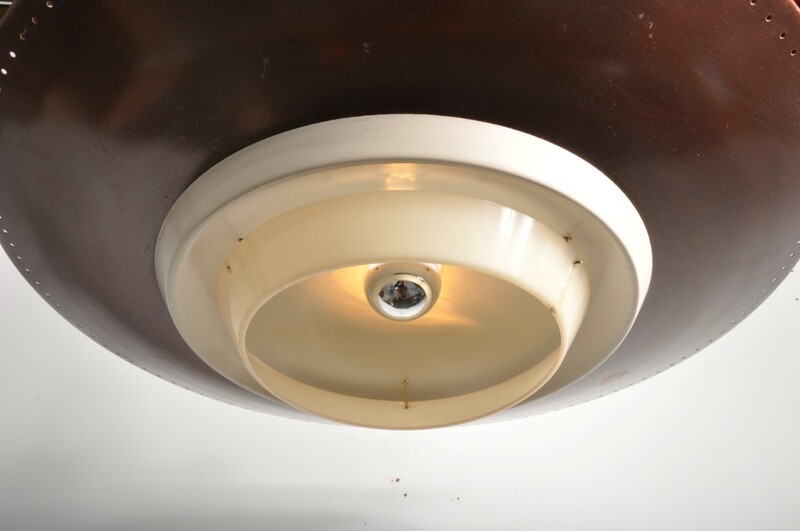 The white metal center and brown metal disc create a nice contrast. 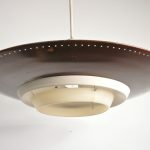 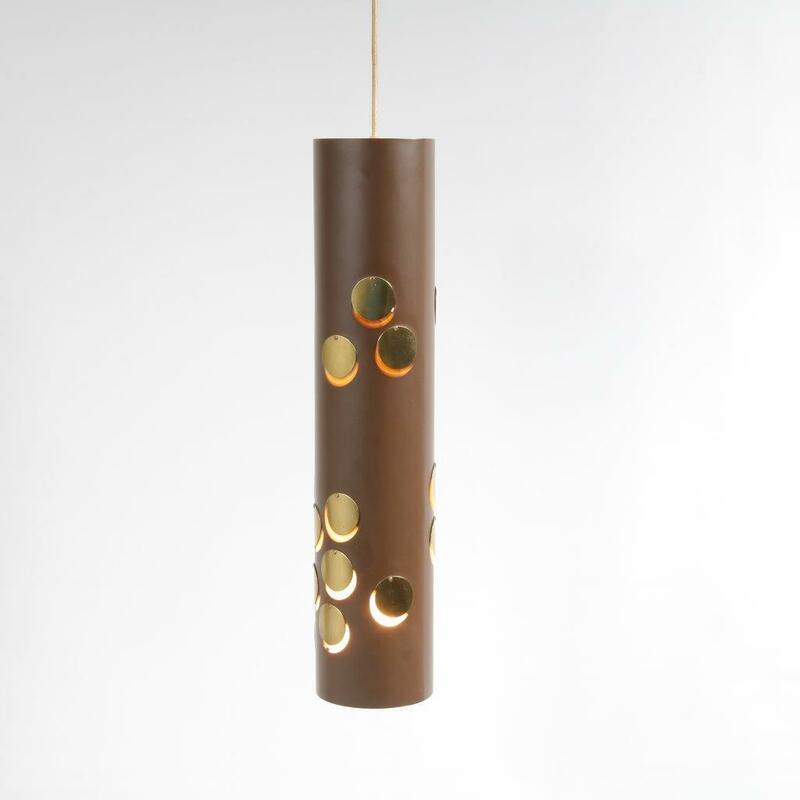 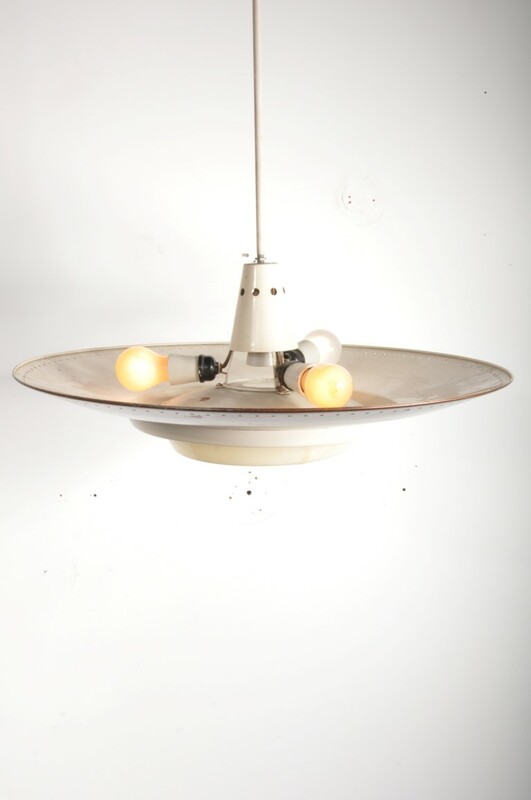 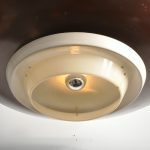 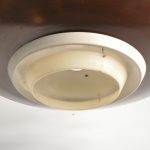 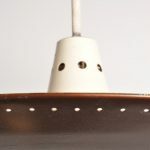 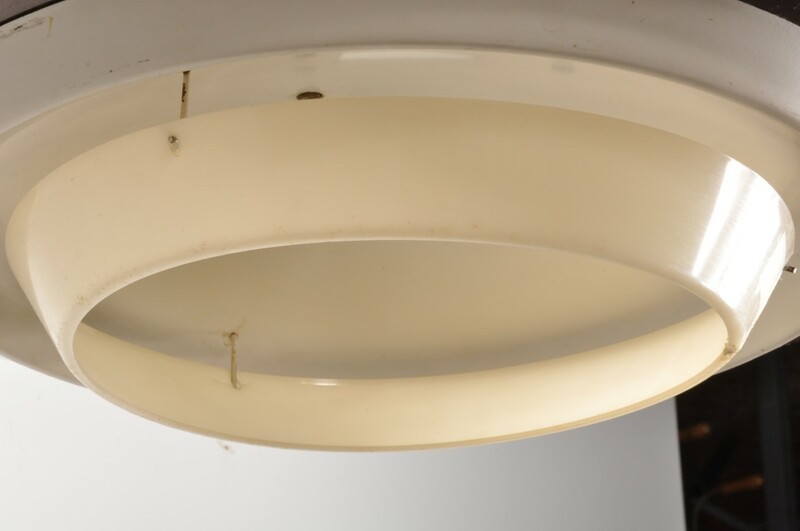 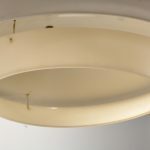 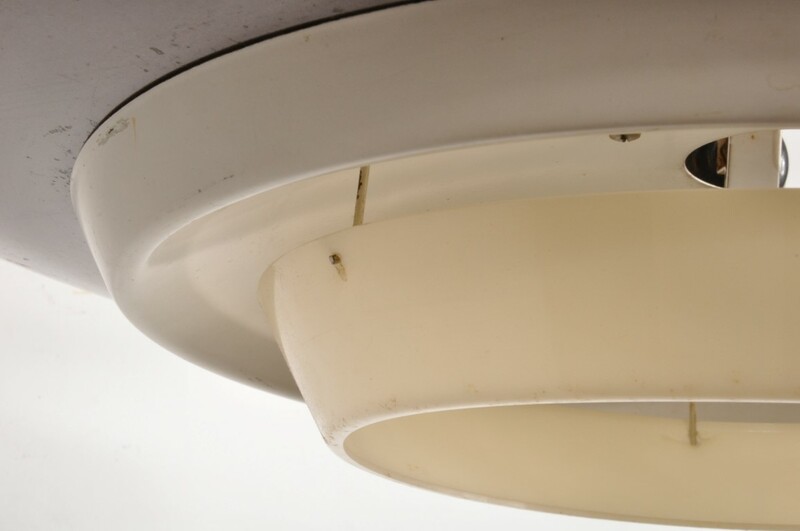 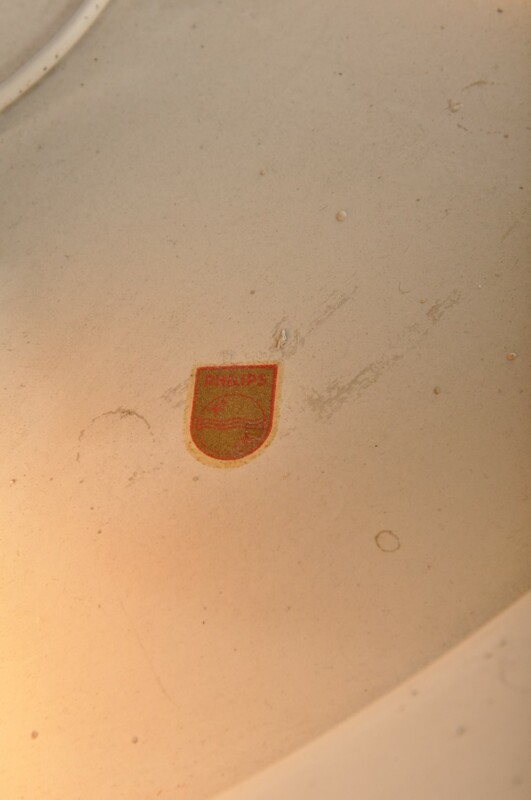 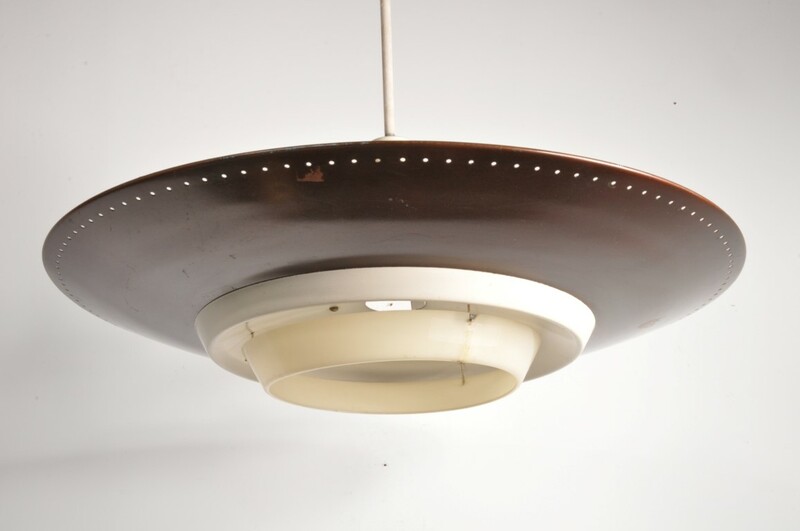 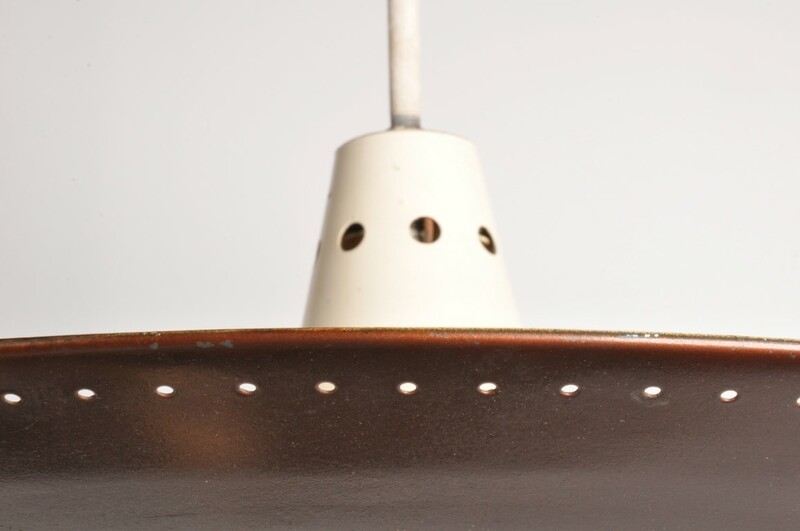 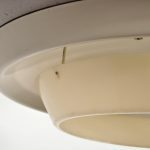 The disc has perforated detail which it typical for Louis Kalff’s lighting designs! 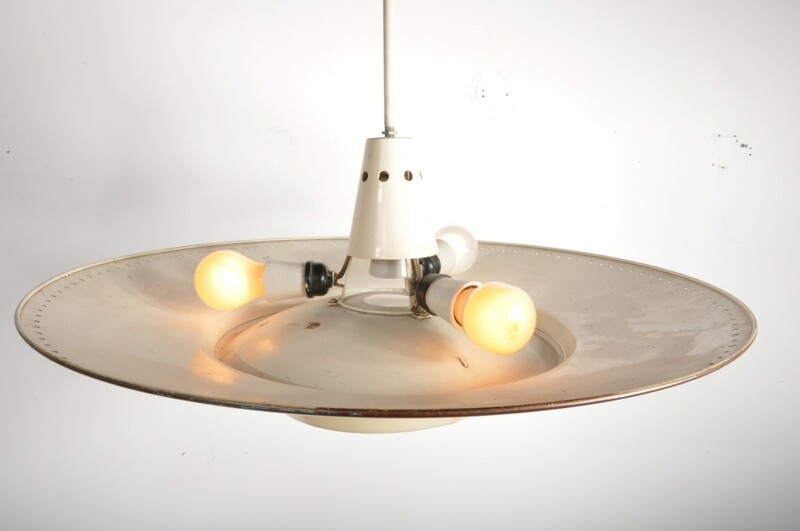 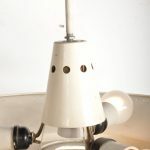 The bulbs are placed above the hood, allowing the lamp to emit a nice bright yet warm light. 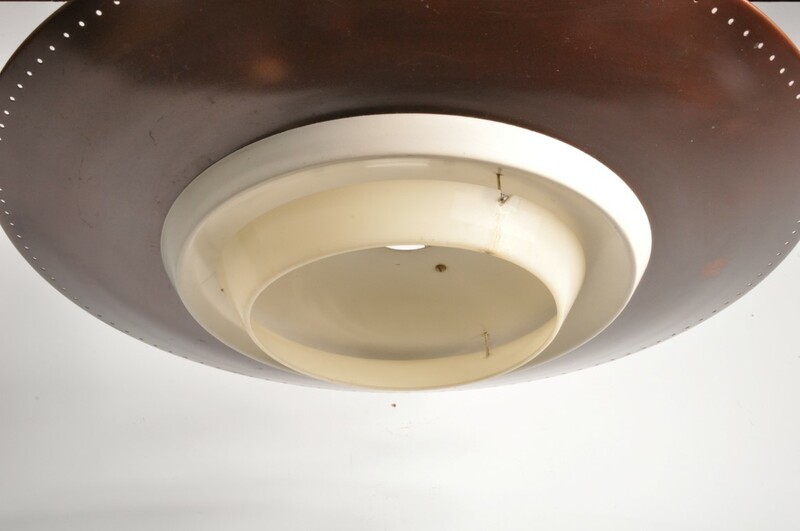 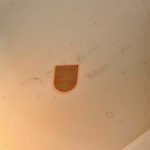 It remains in good vintage condition, preserving a beautiful patina.